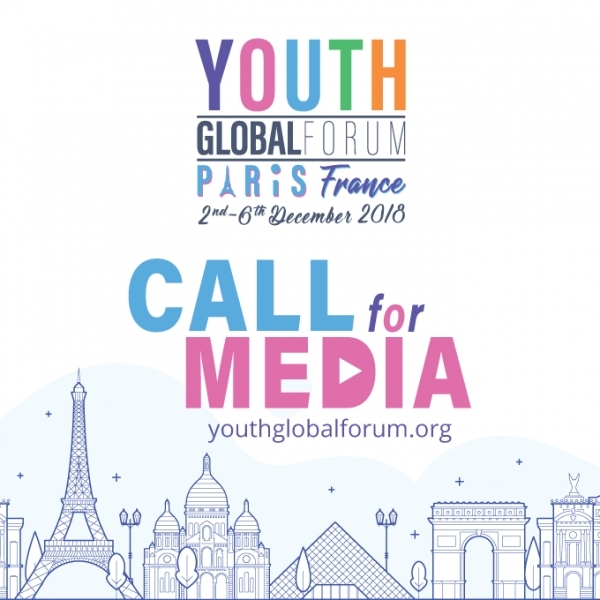 The Youth Time International Movement is officially inviting journalists and young media enthusiasts to apply for the Youth Global Forum, which will take place in Paris, France from the 2nd to the 6th of December, 2018. Deadline to apply is September 7. The main topic of this year’s forum is Worldwide Impact Investment: The Role of Entrepreneurs. The event is composed not only to equip young business people with the necessary tools to thrive in the realms of impact investment, but also to foster leadership, human values and a strong sense of social responsibility. A series of informative keynotes, masterclasses,case studies and highly-interactive workshops conducted by esteemed experts will help attendees to gain insight into the complex world of impact investing and learn about the opportunities which could allow them to realize their maximum potential. Further, young entrepreneurs will have the chance to pitch their very own social projects related to the event theme, with the winner receiving Youth Time’s Idea Grant to realize their idea! Youth Time is also offering young media enthusiastsa unique opportunity to spend five days in the cosmopolitan city of Paris in thecompany of 100 young social entrepreneurs and prominent experts in the field of impact investment from all over the world. Here, they willgain invaluable international experience. A limited number of fully and partially funded reporting fellowships will be offered for media people to take part in the event. Fully funded fellowships will cover: travel to and from Paris, accommodation, meals, program including informal activities and transportation during the event. Partially funded fellowships will not include reimbursement for travel to Paris. Who can apply for fellowships? Storytellers, bloggers/vloggers, digital media activists, online freelance reporters and anyone who works as a journalist in the media industryfrom around the world. What are the main criteria? Everyone who is applying for the fellowship must accept a commitment to produce at least two media pieces both before and after the forum.They must also possessfluent English communication skills, both written and verbal. Efficiency, a track record of toleranceand cultural sensitivity, and a readiness for new experiences. A letter of support from an editor or newsroom manager endorsing the journalist’s participation in the program and support for publishing, posting and/or broadcasting the journalist’s coverage of the conference. Efficiency, a track record of tolerance, and a readiness for new experiences. Link on the social media or blog platform account. Selection for the fellowships will be based on the professional qualifications, relevant experience such as demonstrated interest in the topic of the forum and level of input in promotion of application call for participants before the event. Please note, that due to high interest in the Youth Global Forum we review applications on an ongoing basis. As soon as we select enough suitable candidates, we will not review new applications. In case of questions, please forward them to us via e-mail. Find out more about Youth Global Forum in Paris.